One of Iran's highest clerics apparently shares the same convictions. Some say our Islam is not revolutionary Islam, but we must say to them that non-revolutionary Islam is the same as American Islam. Islam commands us to be firm against the enemies and be kind and compassionate toward each other and not be afraid of anything. 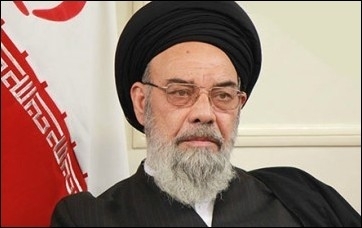 Ayatollah Tabatabaeinejad stated that revolutionary Islam is this same Islam. It is the Islam that is within us that can create changes. The warriors realized that Islam is not just prayers and fasting, but rather they stood against the enemies in support of Islam. Ayatollah Sayyed Yousef Tabatabaeinejad: "non-revolutionary Islam is the same as American Islam." Islamic researchers are agreed that what the West and its followers call 'moderate Islam' and 'moderate Muslims' is simply a slur against Islam and Muslims, a distortion of Islam, a rift among Muslims, a spark to ignite war among them. 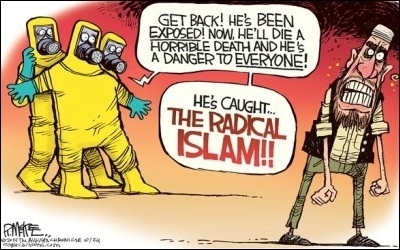 They also see that the division of Islam into 'moderate Islam' and 'radical Islam' has no basis in Islam -- neither in its doctrines and rulings, nor in its understandings or reality.